Learn how to write articles, add images, and update citations on Wikipedia. 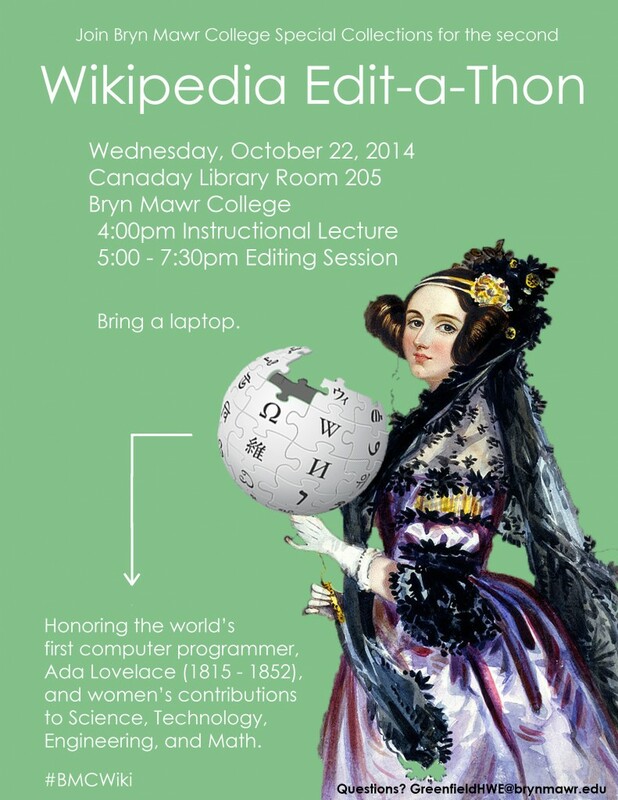 Bring a laptop to Canaday Room 205 this Wednesday for a Wikipedia editing session and an instructional lecture from Mary Mark Ockerbloom, Wikipedian in Residence at the Chemical Heritage Foundation. We will be working on articles related to women in the fields of science, technology, engineering, and math, in honor of the first computer programmer, Ada Lovelace. You are also free to edit based on your own projects and interests–but we’re especially interested in adding more women’s history to Wikipedia. See our previous blog post for more background information. Further details of the event and potential article projects can be found on the Wikipedia event page.